We are delighted to announce the list of prizewinners in our Keats’ Footsteps competition, which was restricted to entries from postcodes TQ14 and EX7. 1st, 2nd and 3rd placed poems are published in full. Click here for full text of poems. 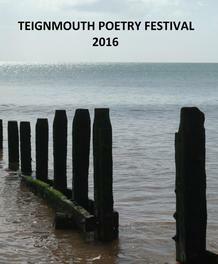 “Judging the local poems was no easy task – we have a wealth of talent in Teignmouth and Dawlish. There were poems that moved me, poems that made me laugh, closely observed poems describing places I know and love – and I could only choose three! Andy Brown, Robin Buchanan, Vincent Canning, Anne Gwynn, Christina Siviter. which is the stronger for describing harrowing experiences in a matter-of-fact way, resisting the temptation either to over-emotionalise or to step outside and comment. The turn at the end brings the situation back home and places it firmly in our lap, without losing the integrity of the voice telling the story. This response to Keats' Ode to a Nightingale, handles the form proficiently, without falling into the trap of copying Keats'nineteenth century idiom or distorting sense to fit the form. It echoes his tone, but in clear contemporary language.